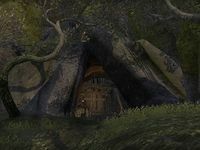 Thanks to the Green Pact, the more industrious Wood Orcs of Valenwood have prospered by mining coal and kindlepitch and selling it to the Bosmer, who won't cut down trees for wood to burn, but still need to fire their forges. Dead Man's Drop is one such mine. 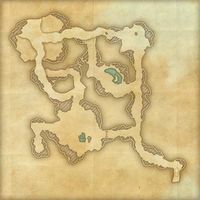 Dead Man's Drop is a mine in eastern Malabal Tor, on the shore east of Fuller's Break containing Ra Gada pirates. They are led by Captain Shammin.